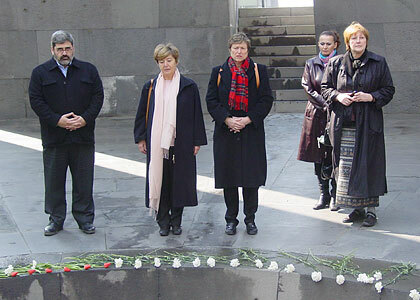 15.03.2007 WomenвЂ™s Socialist International delegation lead by the head of Pia Locatelli, visited Armenian Genocide Museum and laid a wreath at the memorial in memory of the victims of Genocide and planted a silvery fir tree at the Memory Alley of the memorial. He left a note in the register-book of honorable guests of the museum: ''The history of a nation can never be argued. 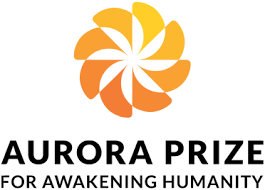 This museum is important to this purpose''. 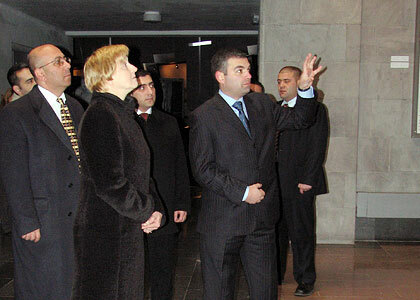 27.02.2007 Foreign Affairs Minister of Poland Anna Fotiga visited Armenian Genocide Museum and laid a wreath at the memorial in memory of the victims of Genocide. He noted at the honorable guests registry of the museum: ''It is not possible to forget violent events of the past''. 24.02.2007 Territorial Minister of France, Christian Estrosi visited the Armenian Genocide Museum and laid a wreath at the memorial to the memory of the victims of the Genocide. He noted in the honorable guests registry of the museum: '' ...My excitement is as strong as it was in June 2001, when at the National Assembly [of France] I expressed myself and then it was my duty to vote for the recognition [of the Armenian Genocide]. The struggle of the Armenian nation must be also the struggle of France''. 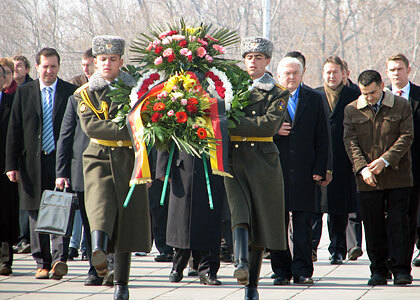 20.02.2007 Foreign Affairs minister of Germany, Frank-Walter Steinmeier laid a wreath at the memorial to the memory of the victims of the Genocide. 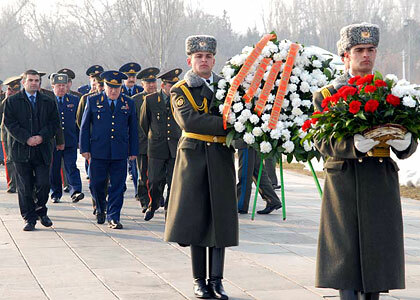 14.02.2007 The chief commander of the CIS antiaircraft forces, army general Vladimir Mikhailov visited the Armenian Genocide Museum and laid a wreath at the memorial to the memory of the victims of the Genocide. He noted in the honorable guests registry of the museum.'' ...Armenian nation has passed through many trials, but among all the impediments of life nothing can be compared with genocide. This is the most tragic page of the history of the Armenian nation''.